At least 44 people have died since the hurricane slammed the coast last week. While the rain has subsided, some rivers are still rising, and North and South Carolina officials warn the flooding danger is far from over. (CNN) — After an agonizing week of ravaging floods, rising rivers, power outages and dozens of deaths, the Florence-weary Carolinas are facing the possibility of more flooding over the weekend. 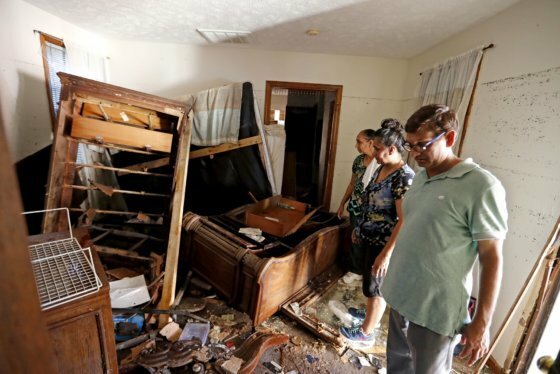 The surge swept away personal belongings of the owner’s family — even his father’s wheelchair. And it wiped out the investment that three brothers from India had spent years working toward. “The Cape Fear River will crest again this weekend, along with the Lumber River,” the North Carolina Department of Transportation tweeted Friday, adding that the Neuse will rise Monday. “Additionally, new areas are flooding with little warning. Due to this, travel isn’t recommended south of US 64,” it said. While some roads are not flooded, they may have damage and hazardous debris that makes it dangerous to drive or walk on them, state officials said. In South Carolina, emergency officials issued a stern warning on avoiding the roads: “I know we sound redundant, but it bears repeating: Turn around, don’t drown!” the state’s emergency management department tweeted. A week after Hurricane Florence made landfall, the trillions of gallons of water it dumped over the Carolinas are slowly moving toward the sea, leaving a path of destruction. Residential streets have turned into rivers, and freeways have morphed into waterways. In North Carolina, flooded rivers have left thousands of evacuees living in shelters and hundreds of roads underwater. The water has receded in some places, but as it moves downstream, officials say, thousands of people could be in danger through next week. A number of South Carolina rivers — the Waccamaw, Lynches, Little Pee Dee and Big Pee Dee — are forecast to crest east of Interstate 95 this weekend and early next week, the state’s Emergency Management Division said Friday. Floodwaters on the Waccamaw River hit nearly 20 feet Saturday and are likely to reach 22 feet by Tuesday morning. 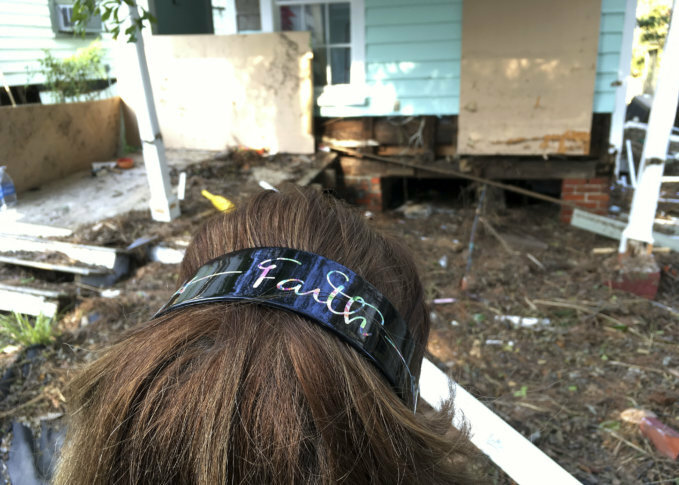 In Conway, South Carolina, residents have reported damage to homes that had never previously flooded, authorities said. Residents were warned that the area where the Big Pee Dee and Little Pee Dee rivers merge could reach flood levels even greater than those seen during Hurricane Matthew. State resources and personnel have shifted to the Pee Dee region, Gov. Henry McMaster said. In all, 23 of 46 counties in South Carolina could potentially be impacted by flooding, authorities have said. Officials are also worried about contamination and environmental hazards, including the potential effects of coal ash, an industrial waste created by coal-burning power plants that can carry health risks. Flooding from the Cape Fear River caused breaches in a dam at a cooling lake at Duke Energy’s LV Sutton Plant in Wilmington, North Carolina, prompting the company to shut down the natural gas plant Friday, Duke Energy said in a statement. “Water is now exiting the cooling lake through breaches — one large and several smaller — on the southern end of the impoundment,” the statement said. It noted there are two coal ash basins on the site but said there was “no visible ash in the cooling lake.” A landfill containing disposed ash from the site has not been affected by the cooling lake, it said. The LV Sutton coal power plant was retired in 2013, and today it operates as a natural gas plant, an earlier statement from Duke Energy explained. Of the 44 deaths blamed on Florence, 32 have been in North Carolina, nine in South Carolina and three in Virginia, officials said. Those killed include two mental health patients in South Carolina’s Horry County. The women, Windy Newton, 45, and Nicolette Green, 43, drowned Tuesday in a prison transport van after sheriff’s deputies couldn’t open its doors, authorities said.